First a big finance round, then the huge growth in staff, then the mass letting go of staff. 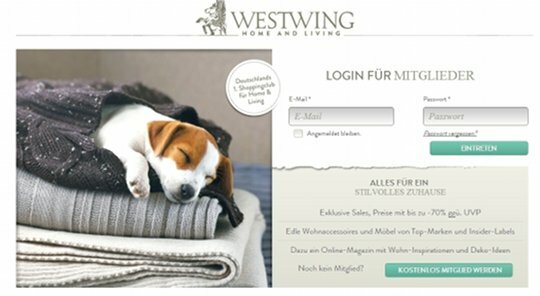 Last June Westwing, the Rocket Internet shopping site for furniture and home accessories, received a handsome funding round of approx €50 million. Shortly after the funding and just months after being launched, designer shopping site Bamarang was cut out of the Rocket Internet stable, with the staff transferred to Westwing. And now the latest news from Westwing is that 15 per cent of the staff have been let go in order to “optimise” the business operations in Munich. The furniture website Westwing, from the Samwer startup incubator has released a statement saying they’re letting go of 15% of their workers. The reason? Process optimisation and a focus on making a profit as soon as possible. “Due to the strong growth, we have hired too many staff in Munich, without having optimised the processes. That is why we have decided to reduce the staff in some of the branches,” Westwing CEO Phillip von Plator told Gruenderszene. Founded in 2011 by Delia Fischer, Georg Biersack, Matthias Siepe, Stefan Smalla and Tim Schäfer, Westwing is a shopping site for furniture and household accessories. The business model was rolled out in over 12 countries in Europe and worldwide, although branches in Australia, Turkey, Sweden and India have already been shut down. Westwing is situated in Munich and is being run by Stefan Smalla and Phillip von Plato. In one of the funding rounds from Summit Partners, Westwing received $50 million in growth capital. But one week later, the closure of Bamarang, the sister shopping site for designer garments, was announced. Looks like the mass hirings have evolved to firings.